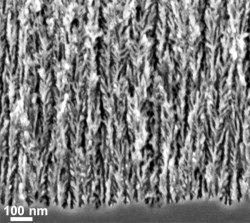 Research to improve the energy density of supercapacitors has focused on carbon-based nanomaterials like graphene and nanotubes. Because these devices store electrical charge on the surface of their electrodes, the way to increase their energy density is to increase the electrodes' surface area, which means making surfaces filled with nanoscale ridges and pores. "The big challenge for this approach is assembling the materials," said Pint. "Constructing high-performance, functional devices out of nanoscale building blocks with any level of control has proven to be quite challenging, and when it is achieved it is difficult to repeat." With experience in growing carbon nanostructures, Pint's group decided to try to coat the porous silicon surface with carbon. "We had no idea what would happen," said Pint. 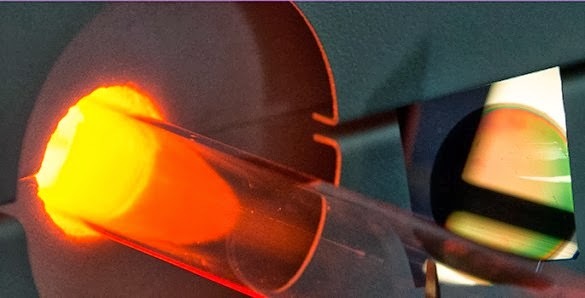 "Typically, researchers grow graphene from silicon-carbide materials at temperatures in excess of 1400 degrees Celsius. But at lower temperatures – 600 to 700 degrees Celsius – we certainly didn't expect graphene-like material growth." The graphene layer acts as an atomically thin protective coating. 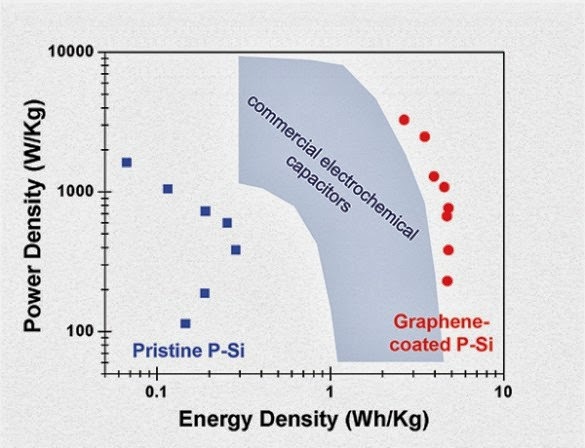 Pint and his group argue that this approach isn't limited to graphene. "The ability to engineer surfaces with atomically thin layers of materials combined with the control achieved in designing porous materials opens opportunities for a number of different applications beyond energy storage," he said. "Despite the excellent device performance we achieved, our goal wasn't to create devices with record performance," said Pint. "It was to develop a road map for integrated energy storage. Silicon is an ideal material to focus on because it is the basis of so much of our modern technology and applications. In addition, most of the silicon in existing devices remains unused since it is very expensive and wasteful to produce thin silicon wafers." Pint's group is currently using this approach to develop energy storage that can be formed in the excess materials or on the unused back sides of solar cells and sensors. The supercapacitors would store excess the electricity that the cells generate at midday and release it when the demand peaks in the afternoon.